2017 (Pitcher, 1B) Ally Wieman for committing to Frostburg State University in Maryland. 2017 (3B, INF) Rylee Kinsella for committing to Shippensburg University in Pennsylvania. 2016 (Pitcher, OF) Isa Carunungan for committing to Notre Dame of Maryland University. 2016 (Pitcher, INF) Marisa Mancini for committing to Swarthmore University in Pennsylvania. 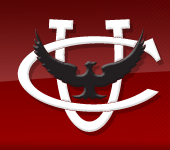 2015 (Outfield, INF) Imani Torregano for signing her National Letter of Intent to Cumberland University in Tennessee. 2015 (OF, 1st Base, 3rd Base) Ashley Prince for committing to St. John Fisher College in Upstate New York. 2015 (Pitcher and 1st Base) Ali Caulkins for committing to Frostburg State University in Maryland. 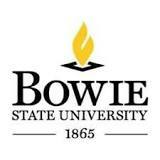 2015 (Pitcher) Megan Visele for signing her National Letter of Intent to Bowie State University in Maryland.